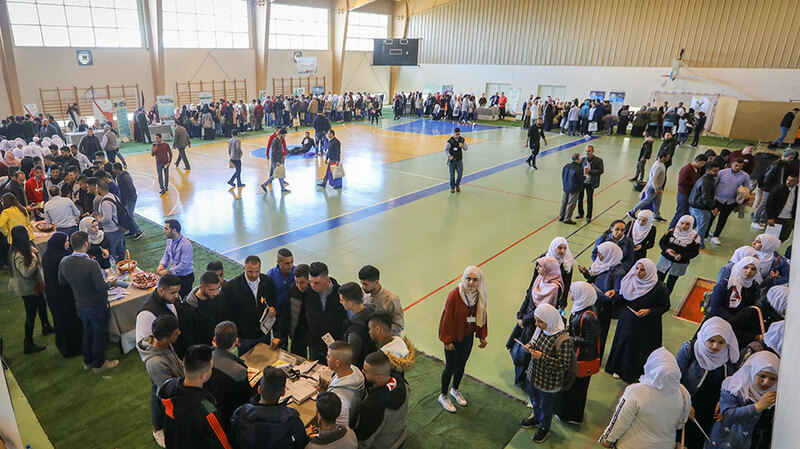 In cooperation with the Palestinian Ministry of Education and Higher Education and with the participation of 19 higher-education institutions, Birzeit University organized on its campus an open day with guidance sessions for high-school students (Injaz) on March 12, 2019. The session is part of a series of such sessions held annually in Palestinian governorates. 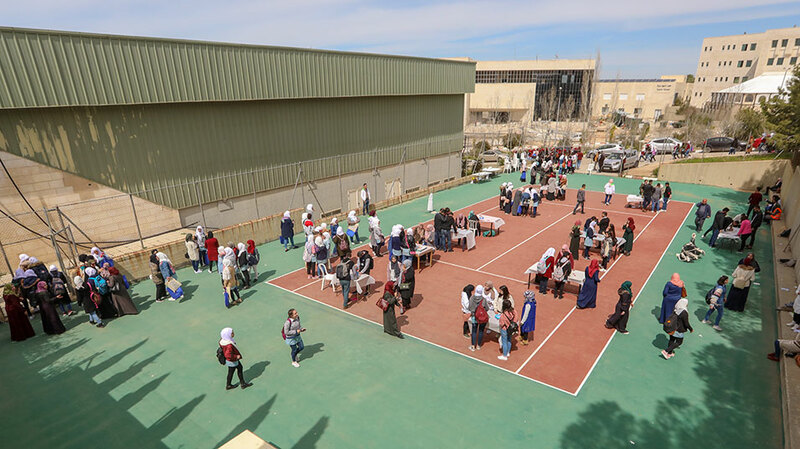 Injaz students engaged in various activities and visited interactive booths that aimed to assist them in choosing suitable majors and universities according to their interests and ambitions. 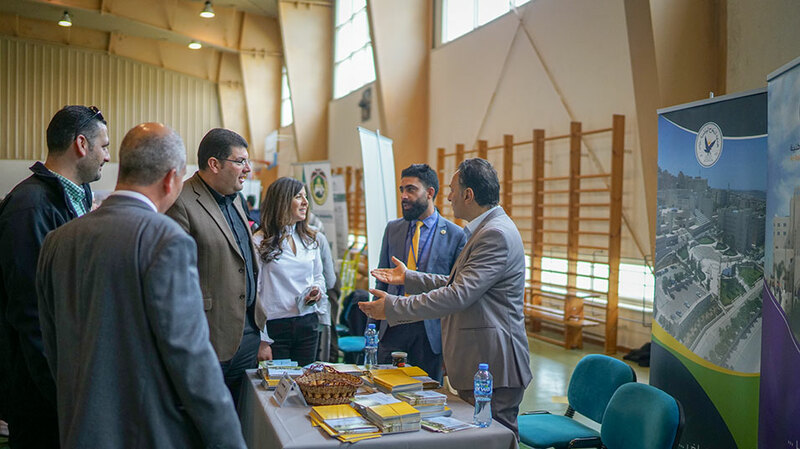 Representatives from Birzeit University’s Registration and Admissions Department and its Public Relations Office and from the Ministry of Education and Higher Education answered student inquiries and questions and handed out informative brochures about academic offerings. Students from the newly inaugurated Faculty of Arts, Music and Design participated in the guidance sessions, providing insight about the programs and activities that the faculty offers.